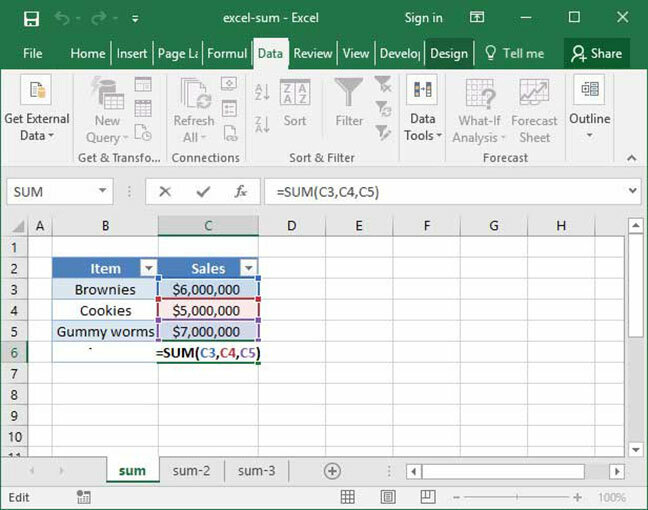 Let's start our overview of mathematical functions with Excel's most basic, and commonly-used, tool: SUM. The SUM function does just what it sounds like: It sums up each of its arguments and outputs the total. Let's take a look at how this simple function works. The above formula outputs $18,000,000, because the sum of $6,000,000, $5,000,000, and $7,000,000 is $18,000,000. As we've seen above, SUM works great with single cells. But it also offers a shortcut for data input when working with large ranges of cells: you can input an entire cell range rather than a single cell reference, and Excel will automatically sum up everything in that range. This formula also outputs $18,000,000, because it performs the SUM of all the cells in the range C3:C5. This is a helpful shortcut when you want to SUM large quantities of data that appear over many cells. As you can see, SUM isn't working in this situation. If you're getting errors like #VALUE! or #DIV/0! 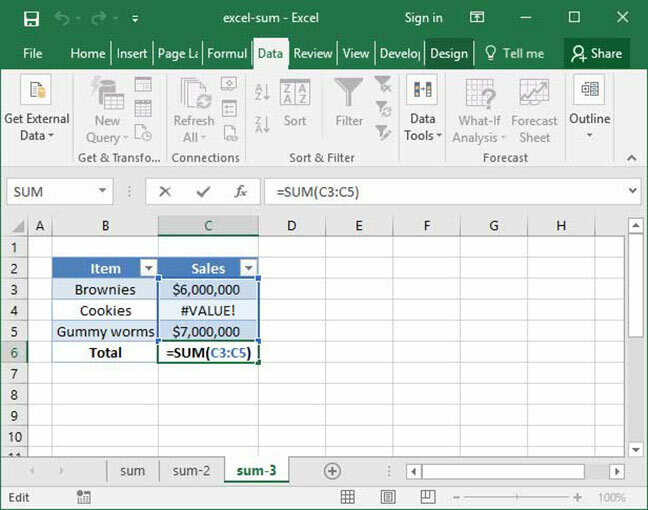 as the output of your SUM, check to ensure that each value you're adding up is a number and not an error.